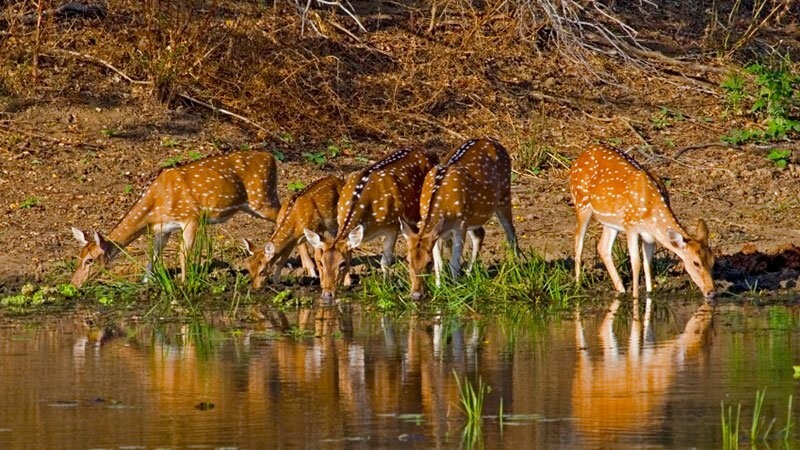 On any kind of excursion you choose to go on, an expert advice is what assists you to make it a wildlife-friendly trip. For example, if you’re visiting a beach where possibilities of Shark encounters are more then there is a need to go with a trained guide. This will certainly ensure your safety along with animal welfare. In the past, the cases of animal attacks have been significantly increased due to the negligence of site visitors. Not all animals are dangerous, some are mischievous too! But, that doesn’t mean you can go near to them, clicking selfies and feeding. Well, obviously avoiding the close encounter can help you to get safe around wildlife. Whereas, pictures and selfies increase the possibilities of poaching of endangered species. Every time you purchase perfume, leather, or a crayon, an innocent animal has to bear so much pain (sometimes even faces death) just to satisfy our needs. And for a moment, let’s be truthful! What are we giving those innocent wild creatures in return? Death and pain, that’s all! So, just take an oath to yourself that wherever you travel, you’ll not buy or even use products and souvenirs that are made of wildlife. Any sought of animal entertainment for the leisure of travelers is strictly against wildlife tourism. There are some places where dogfights, bullfight, and cockfights take place. Besides this, animals are also used in the name of religious significance as well as considered as a part of the culture. A sensible wildlife tourist never accepts such cultures and customs as these acts include animal cruelty. Riding an elephant or any other animal is not at all fun thing to do. Nature doesn’t make them for riding human. Captured from the wild, these animals are inappropriately cared and are trained in the cruelest manner. As a result of this, these animals many a times get injured while carrying a bunch of people. Thus, it is of the high importance of being a responsible traveler in such animal cruelty cases. Beside the animals, it is equally necessary to love and respect the people and their culture living in the wild. Refrain being disrespectful towards their religious and cultural traditions, wearing clothes inappropriately, and being noisy. As well as, hire a local guide and buy their products so that some part of your eco-friendly trip expense adds on to the local communities. A feeling of spotting elephant, tiger, deer, or any other wild creature on a wildlife tour is just beyond description for any wildlife buff. And this warmness can only be cherished in their own land, i.e., in a sanctuary or a national park that supports the best to green travel. Therefore, refrain visiting zoos and artificial parks as the best of wildlife can be adored in the wild only, i.e., the environment where the wild animals stroll, sleep, hunt, and repeat. The most important point to remember. Avoid going near to wild creatures, and save yourself from being a victim of an animal attack. Do not interact with the wild animals in any way. Besides, also ensure not to feed any animal. Sometimes, disturbing wild creature’s natural habitat can also result in serious attacks. One of the most important aspect to be a part of responsible tourism is opting for local transport instead of flight. Local transport like the eco-friendly public travel is a prominent part of ‘slow travel’ which give tourists a chance to yield in a particular place more deeply. By lowering your carbon footprints, you’ll get a better sense of wildlife and nature.